On Kauai chillin about to bring a 95 talon back to life! In Maui to work on Mauispyders dsm!! Should be a fun weekend! Gvr4 is up and running amazing :) thanks Brian Terhune for the killer trans!! Finally getting the help I've been needing for about a year now! Thank You Lord for watching out for me! New piston rings and evo9 springs/retainers/seats on the way for the gvr4!! Got ecmlink on the way for the gvr4! Thx Thomas and my wife! Thankful for the Lord's many blessings! Waiting for a specialist that can help get these dang things out of my wrist! Cant wait to be able to wrench again! Well got my MRI results back on my wrist and hands. Turns out I have multiple small geodes in between my joints and tendions. Went to UTi for auto and diesel (3.9 grad point average! I was offered a job to be a teacher . Also a year of auto and auto body repair at lake county cc, ase certified. Have been a tech for 18 years and building my dsm's since 99! Worked at a killer muscle car shop back in the day called BTO, better than original. My new shop is in the works and I plan to get a dyno and mostly tune cars all day. Just a straight up guy who loves The Lord! I have a great family loving wife and beautiful daughter! I love to wrench, tune and mod anything, surf, skate, snowboard! Love to play worship music, drums, bass, guitar!! 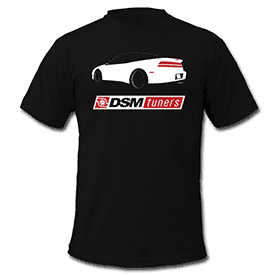 And of course race my DSM/Mitsu's!! Just opened my new shop at the beginning of 2017! Thank you Lord for all you provide and supply. May all we do honor you!